I have to say for all its flaws (like taking up way too much of my time) social media has connected me to countless people, experiences and creativity - from helping launch my career in design to introducing me interesting brands and people I would have never otherwise heard about. 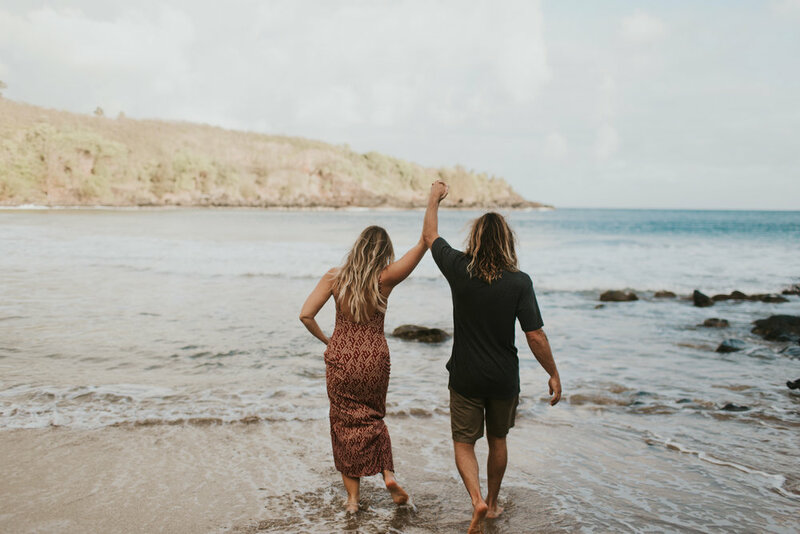 It also led me to Kauai based photographer Julia Kathleen- I was scrolling my way through Instagram one day when I came across her account - her photography immediately spoke to me - the way she captures the couples she photographs in such a natural and blissful state - without feeling overly cheesy or posed - I knew I had to work with her! A few Insta messages later and we scheduled a shoot. Julia made Daniel and I feel so comfortable and cool - you may be surprised to learn I literally HATE getting my picture taken - but Julia got us into such a groove that it felt totally natural and unforced, which I think comes across in the photos. We were so impressed with her work that she’ll also be shooting our wedding in Kauai next July! If you’re ever on the island (she also travels!) and want to take some damn cute photos of you and your mate - I highly recommend working with her! Check out Julia’s work here. Also word to all the brides out there - I can’t say enough about using Instagram as a tool to find your vendors! I found both Julia and my amazing wedding planner, Heather Singleton of Tie the Knot Hawaii as well as Hilight Installations who is doing all of our lighting and floral installations.